Cesar Sierra, M.D. is a Cosmetic Eyelid, Orbital & Reconstructive Eye Plastic Surgeon who specializes exclusively in the eyelids and facial areas around the eyes. Dr. Sierra is trained as both an eye surgeon and cosmetic & reconstructive ophthalmic plastic surgeon. His areas of expertise include blepharoplasty “eyelifts” or cosmetic eyelid surgery for baggy, puffy eyelids, brow and forehead surgery to lift troublesome areas. He has special expertise in eyelid surgery to correct ptosis or “droopy” eyelids, minimally invasive endoscopic tear duct surgery and repair of eyelids that unnaturally turn inward or outward as well as eyelid and orbital reconstruction after trauma or ocular tumor surgery. facial rejuvenation for men and women using non surgical treatments & injections to minimize or eliminate the effects of aging. These include treatment for dark circles, eyelid bags, creases, folds, fine lines and wrinkles. His approach for women is to restore their natural, refreshed, youthful appearance by gently tightening, volumizing and lifting the delicate eye, facial features and chin. For men, Dr. Sierra strives to maintain an energetic, masculine but softened ruggedness. Depending on your areas of concern this may require BOTOX® injections alone or in combination with gel fillers and tightening injections such as Juvéderm, Restylane®, Radiesse® or Kybella® to create the desired result. Dr. Sierra earned his Medical Degree from Universidad Central Del Caribe School of Medicine where he was elected a member of the Alpha Omega Alpha Medical Honor Society. He then completed a Residency in Ophthalmology at Yale-New Haven Hospital where he received the Marvin L. Sears Award for Clinical Excellence followed by an ASOPRS (American Society of Ophthalmic Reconstructive and Plastic Surgery) accredited Fellowship at Kresge Eye Institute & William Beaumont Hospital in greater Detroit, Michigan. He is certified by and a Diplomate of the American Board of Ophthalmology (ABO) and a Fellow of the American College of Surgeons. 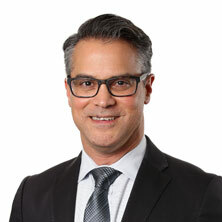 Dr. Sierra continues his dedication to the field of surgery by teaching surgeons procedures and techniques of cosmetic and reconstructive orbital and eye plastic surgery as an Assistant Clinical Professor of Ophthalmology at Yale School of Medicine in New Haven, Connecticut. 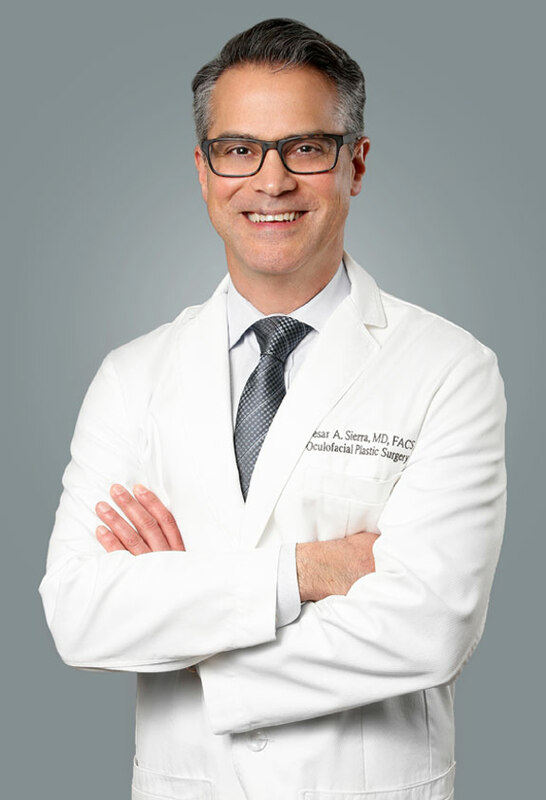 Dr. Sierra is certified by and a Diplomate of the American Board of Ophthalmology (ABO), a member of the American Academy of Ophthalmology (AAO), the American College of Surgeons and Pan-American Association of Ophthalmology. He is an attending surgeon at Yale-New Haven Hospital, Bridgeport Hospital and Norwalk Hospital.